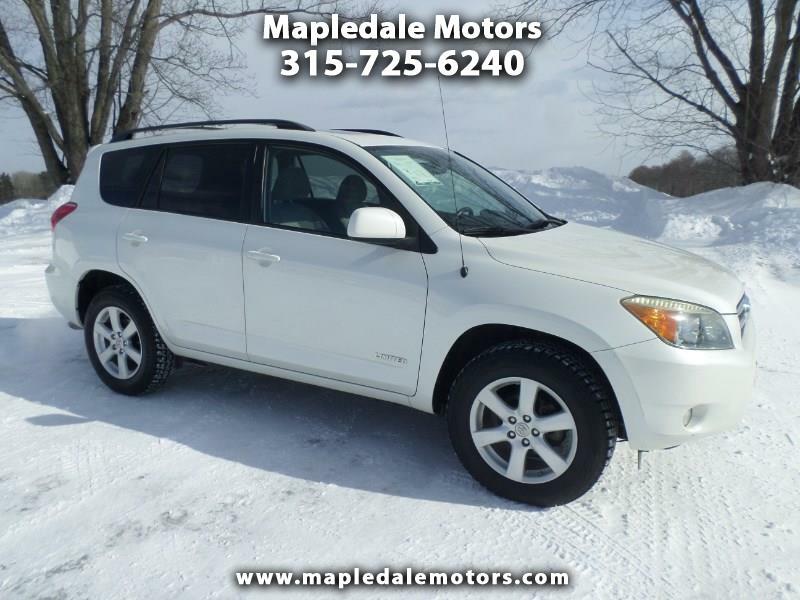 Clean Carfax 1 owner Toyota Rav4 limited, all wheel drive, Blizzak snow tires. This one spent most of its life in Maryland and is very rust free underneath. 146k on one of these rigs is considered "just broke in". We take great pride in our vehicles and excellent care of our customers. Stop by, call or email to check it out. Visit Mapledale Automotive online at www.mapledalemotors.com to see more pictures of this vehicle or call us at 315-725-6240 today to schedule your test drive. Mapledale Motors is fully committed to giving our customers a top notch, serviced and clean used automobile. The vehicles you see listed for sale have already been through our reconditioning and service department to bring them up to a like new standard. Many of our vehicles look and feel like a new car even though they may have 100,000 miles on them, we have found that the condition of the vehicle is more important than the odometer reading. We offer cars that were loved and maintained by the previous owner, often times trading them in on a new version of the same make and model. Many of our customers have driven their used vehicle over the 200k mark with minimal maintenance along the way, buying a car like this can save you thousands of dollars!